Anyway, finally I selected the ingredient and the authors. 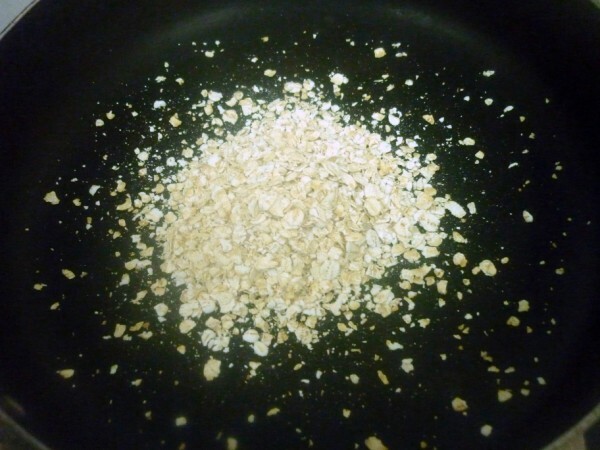 For here is the ingredient that I ended up, Oats and for the first day it from Mallika Badrinath’s book of Oats. 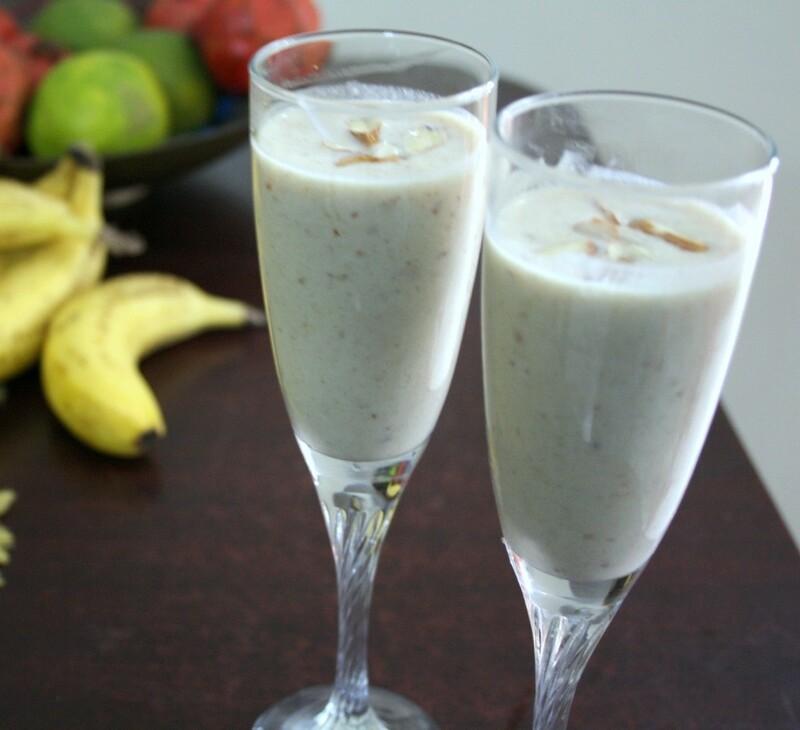 This is called Oats Date Almond Milkshake and ends up being very rich and smooth, I could easily call it a smoothie. I almost followed the recipe, though I can’t resist changing something. 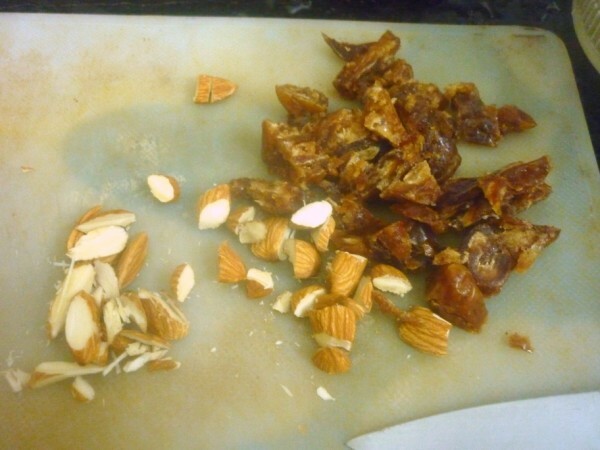 Once cooled transfer to a mixer, add chopped dates, half of the almonds, pulse it till the oats are powdered. 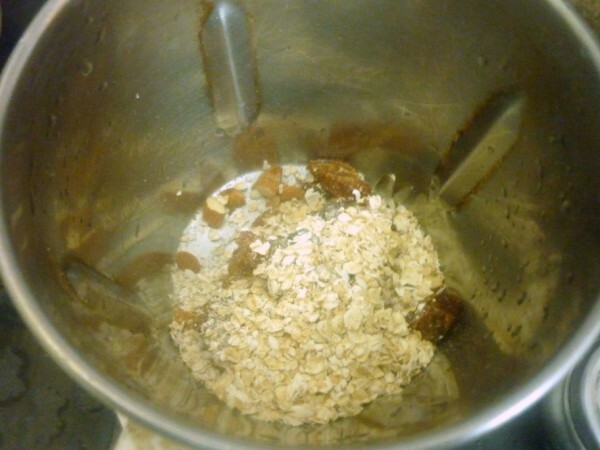 Next, add the milk and run again. Now add the honey and pulse again to get a smooth paste. Clicking drinks is always such a tough task! Every time after I click I realize my mistakes and it’s of course too late! Always place the glass where you want to click, pour the content after placing, making sure you don’t move the glass. Else you will clearly see the liquid that moved around the rim. Healthy and yummy Milkshake !!! Valli the pics have come out super! And I am sure the shake must have turned out yum, even though I am not a milk person , but surely a healthy one. Like those tips on the pics! This looks absolutely Yum, will try and let u know how it was. Healthy and filling shake. Different from regular one..
That looks like a really healthy tasty drink. I am going to try this one soon. Nice and healthy drink. As you said taking picture of drinks is hard for this reason I haven't posted few of mine yet. what a healthy shake and I love the way you photographed them in the champagne glasses, especially the 1st photo. …and you were right – I spent several days going through my huge cookbook collection trying to find one ingredient from 3 different books representing the 3 different course options you selected – and I said to myself what was I thinking by selecting this category and what was Srivalli thinking – this is HARD!!!! Lovely props and clicks Valli !! 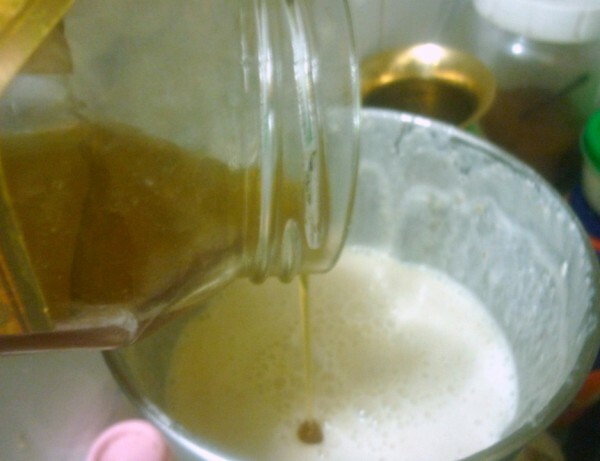 Yummy shake… I was also stumped when I saw the combos from a single ingredient and also crazier combos on your theme today !! Am still thinking what to choose n make….. You couldn't have ducked if we all had protested 🙂 we are all good students, you c!. 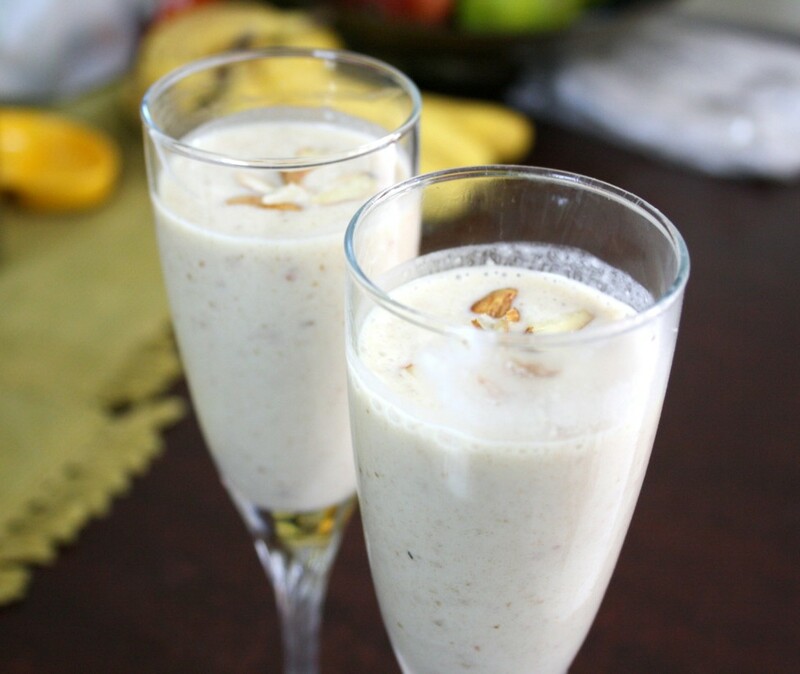 Very beautiful click valli, i never get bored of anything prepared with oats, obviously i can have this beautiful shake anytime. I do a very similar version regular!!! so yummy!!! Yummy one Valli. As I mentioned earlier, the ideas under this theme was really complicated. Just joking will try it out. Valli, the first pic has come out so well……love it. Great drink , gives an instant energy kick! That is one healthy & nutritious drink. I'm going to try this soon. Thanks for sharing.. Lovely clicks.